Manfred takes over with a chilled(ish) selection of tunes. The Shed Collective Volume 2 available now. 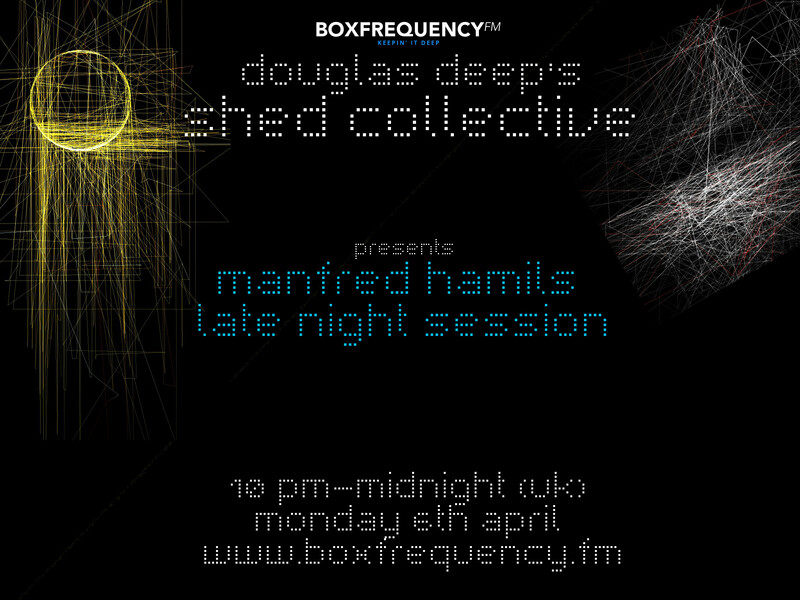 Douglas Deep’s Shed Collective is back again on http://www.boxfrequency.fm, In the first hour we have a Live performance of new and unreleased Douglas Deep, Macerator and Manfred Hamil tracks, in the 2nd hour there is a drum and bass mix by Macerator. Enjoy.